Devaloke group was founded in the year 1995 by Mr. Sankar Kundu. The group is a cluster of companies in various statures ranging from Limited Companies to proprietorship farms; evolved together into a corporate entity. The journey began with “Minati Apartment” in loving memory of his late wife Mrs. Minati Kundu. The beginning was humble, fabricating boutique projects that concentrated mostly around the southern fringes of Kolkata. As time progressed, we have successfully completed more than 18 projects ranging from 6,000 sq.ft. going upto 3,40,000 sq.ft. in Garia, Baghajatin, Bansdroni, Jadavpur & Sonarpur. DEVALOKE HEIGHTS 80,000 sq.ft. and DEVALOKE FORT 78,000 sq.ft. 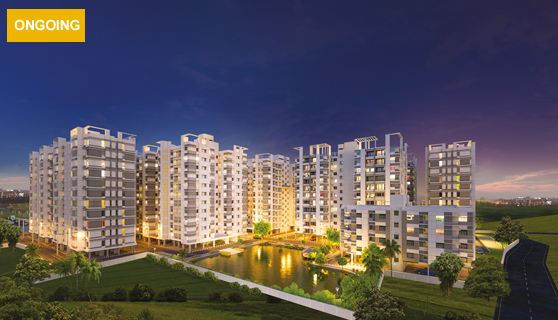 in Sulekha, Jadavpur, which has successfully changed the skyline of the area was a sheer dream come true for us. Then came our most ambitious project till date: DEVALOKE DECASA (3,40,000 sq.ft. ), Greenpark, Sonarpur, that has taken our workmanship, professionalism & competency to a complete new level. This residential project has evolved to be the best example of quality living, setting standards, that are by far the best in the industry. Devaloke Sonar City is only 2 km from Garia, Kamalgazi and the EM Bypass, close to Kabi Nazrul Metro and Sonarpur railway station, hospitals, schools, markets, shopping malls, and multiplexes and is going to end your search for a flat near Garia in South Kolkata. Devaloke Sonar City is registered with HIRA. HIRA Registration No. : HIRA/P/SOU/2018/000305. © Copyright Devaloke Group 2017 All Rights Reserved.